1.3.1 More pictures on Instagram and like my page on Facebook. 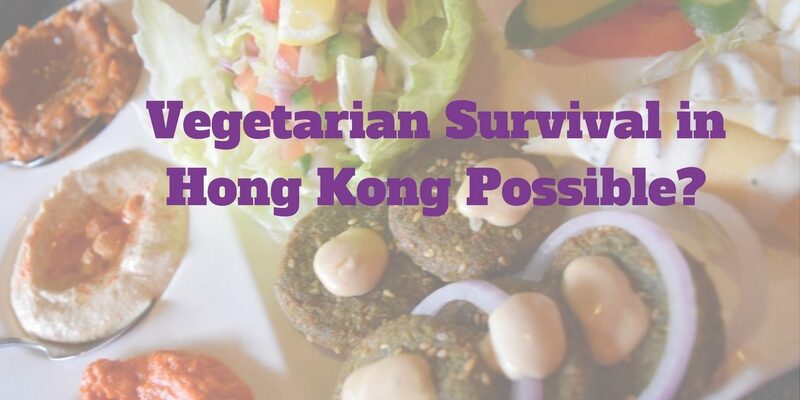 Vegetarian Dining in Hong Kong: It turned out that it can be really tough to eat vegetarian dishes in Hong Kong. In a place where, though many are Buddhists, surprisingly many eat meat 3 times a day. Animal products are also present in many desserts such as milk and eggs. During my Hong Kong trip, I was looking forward to eating a lot of street food. However, I could not really identify the food and the vendors found it difficult to answer my questions about the ingredients. I would have loved to enjoy and support much smaller restaurants and shops, but I did not want to take the risk of eating something that I really didn’t want to eat. Also, many people did not speak English well and since I don’t speak Cantonese, it was hard to find assurance in the ingredients used for the food or dishes. This is why I ended up eating in more Western restaurants where communication is easier and more vegetarian options were available. Despite that, as you can see, I am still alive and survived my Hong Kong trip. I am also healthy, fit and even had the chance to enjoy a couple of vegetarian dishes during my stay. 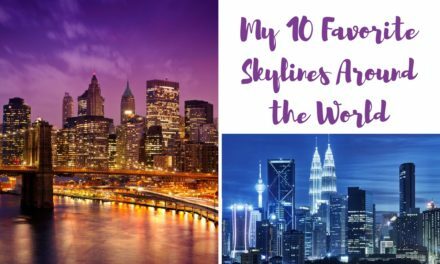 Here are my favorite places for vegetarian food. First, I have to admit that I had burgers three times in the 8 days I stayed in Hong Kong and Macau. In the first place that I ate the burger, it contained some fried eggplants and mushrooms. Two of my three burgers did not contain the typical patty as I am used to from Germany but rather some fried vegetables which is just fried and then put in between the burger. 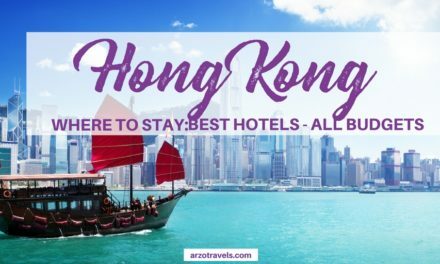 Not sure where to stay in Hong Kong? 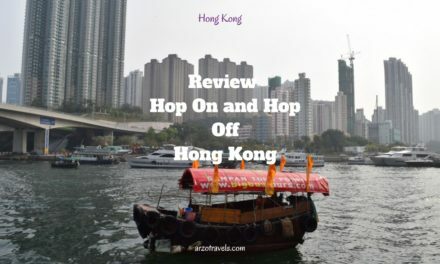 Here are my tips for your Hong Kong trip (best areas and all budgets). 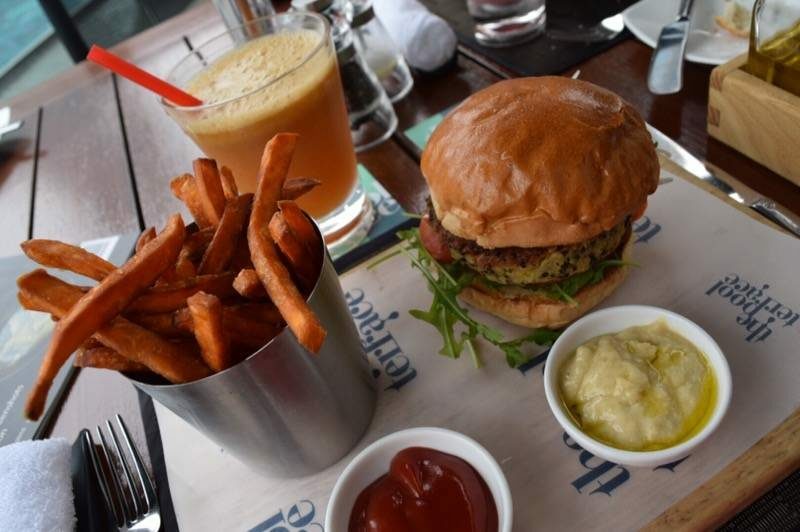 At the Four Seasons in Hong Kong, one of the very best hotels in Hong Kong (located on Hong Kong Island), I had a black Quinoa burger with sweet potato fries. Quinoa has become an extremely popular ingredient in Germany and is known to be healthy but not expensive. 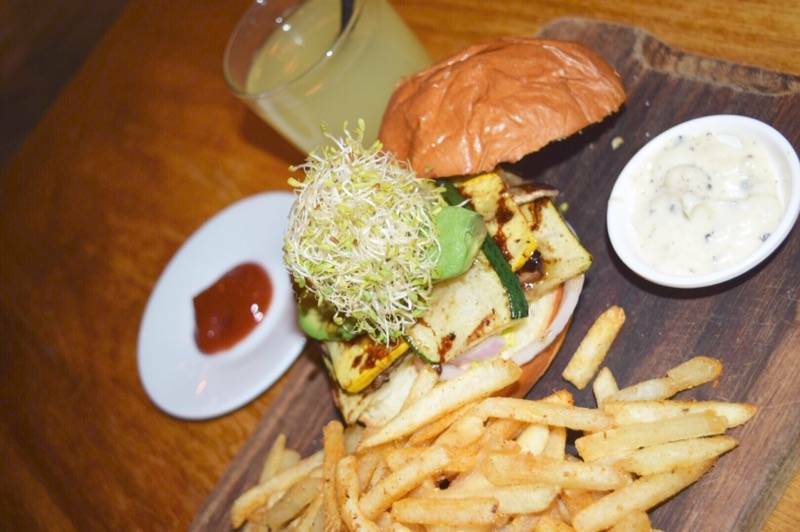 This kind of burger fits my kind of taste and is a healthy alternative to the beef burger which is also available there. Another good thing about having a vegetarian burger at the Four Seasons is the hotel’s pool with a stunning view of Victoria´s Harbour. 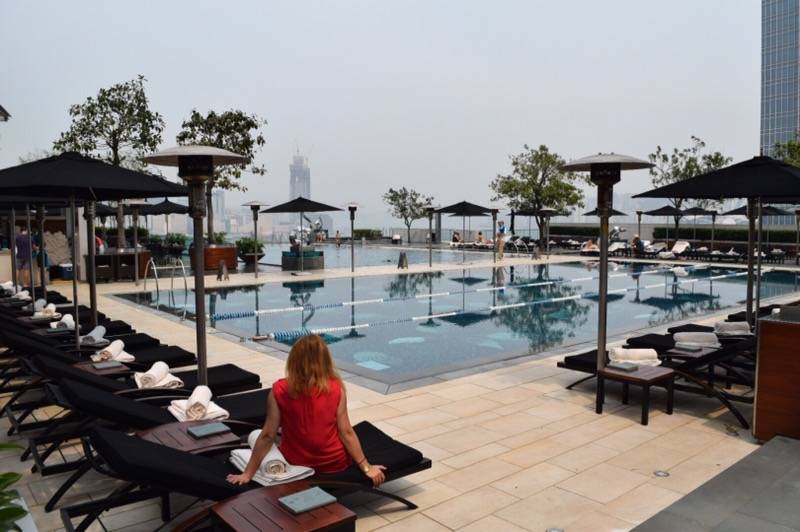 You can choose to be seated near the pool and lunch comes with a great view. If you are not a checked-in guest at the Four Seasons Hong Kong, this is a great opportunity to check out the hotel by dining there (the dessert is also delicious). At the Unami Restaurant, located inside the La Meridien Cyberport where I stayed at, I also had very good vegetarian dishes in a very cozy and lovely atmosphere. Though much of the food offerings were Japanese that often contains meat or seafood, I kindly asked the staff to prepare a vegetarian version of the meal for me. Since the staff in hotels and bigger restaurants speak English well, they are almost always able to grant a guest’s request or wishes. It was also the second time I had vegetarian sushi which tasted awesome. 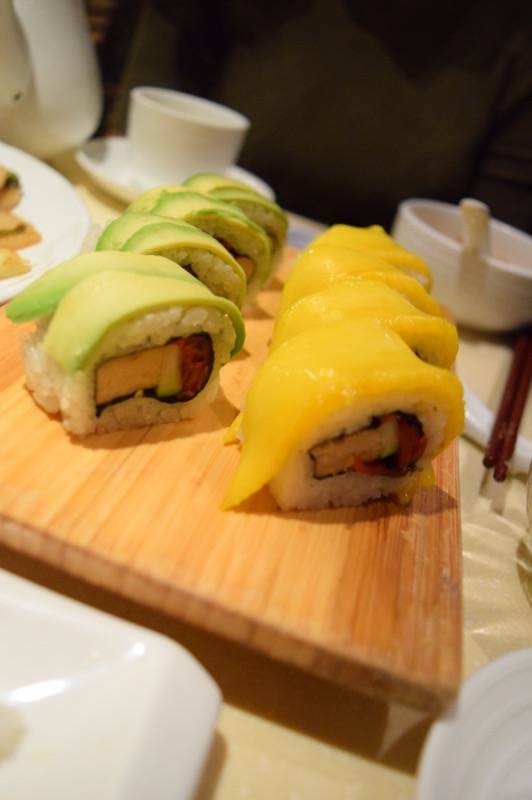 I even cannot wait to have more vegetarian sushi here in Germany. 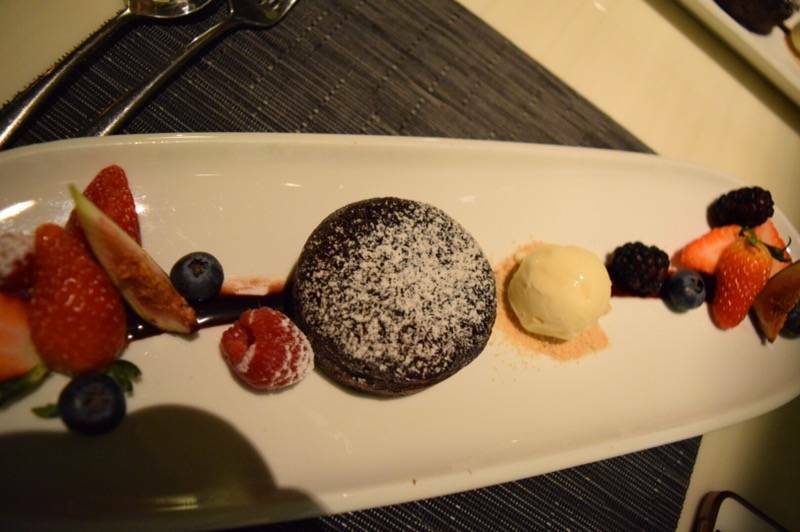 Not to forget: The dessert (chocolate fudge with ice cream) was a highlight. I also met a local blogger, Nam from Laugh Travel Eat who introduced me to a vegetarian dining spot – a restaurant located in Miramar Shopping Mall called Gaia Veggie Shop. However, the names and descriptions of the dishes really confused me. Some of the dish descriptions contained words like preserved meat and grilled chicken. It made me ask Nam a couple of times if she is sure the dishes and restaurant are really vegetarian. Although she reassured me, I still could not believe it 100% and she had to ask the waiter several times to confirm it. Apparently, the waiter assured Nam that all dishes contain plant-based ingredients. Nevertheless, even in Hong Kong, it is not considered an impossible mission. You would just need to make extra preparations to learn more about vegetarian restaurants and as you can see from above-mentioned experiences you can get vegetarian dishes in many restaurants. Also, street food snacks may not be a good vegetarian choice in some places. You may also need to learn some Cantonese words to communicate with the vendors well, but you will be fine. Click here to find out why I have become a vegetarian in the first place. I was a guest at some restaurants, but as always the opinion is mine.